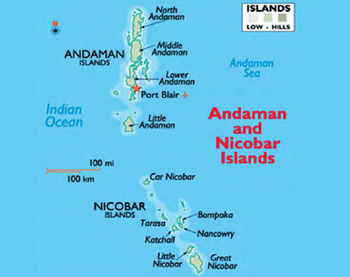 News reports of January 6, 2019 reveal that Andaman & Nicobar Islands (ANI) will get a new airbase in the Indian Naval Air Station, INS 'Kohasa' near Diglipur (largest town of North Andaman Island with population of 744202 (2001 census) located 298 km north of Port Blair), which is slated to be inaugurated by the C-in-C ANC on January 24. Earlier in June 2018, government took a decision to permanently station fighter jets in the ANI, something that should have happened years back. News reports said deployment of frontline fighter jets is under consideration for deployment at two bases in ANI – one each at Car Nicobar and at Campbell Bay. IAF already has a base at Car Nicobar but ANI has only one Mi-17V5 unit and two Dornier aircraft permanently stationed. China makes no bones about her 'Malacca Dilemma' and ensures aggressive presence in Indian Ocean Region (IOR). She has listening posts in Coco Islands, has made strategic investments in Kyaukpyu port of Myanmar and has coaxed Thailand to re-examine the Kra Canal Project. 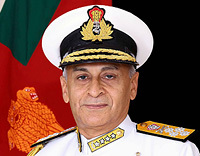 During a presentation on China's claim to the South China Sea (SCS) at the Chinese Embassy in New Delhi on April 19, 2016, the officiating Chinese ambassador stated, "Someone in future may dispute the ownership of the Andaman and Nicobar Islands." In 2014, two Chinese vessels entered Andamans' exclusive economic zone (EEZ) under pretext of searching for the missing Malaysian airliner MH370 even after India had denied permission to Beijing. They were intercepted and ordered to leave, but PLAN vessels continue to keep attempting to get close to ANI ever since, indicating China's dirty intentions. China is going full steam in establishing and fortifying naval bases in the IOR and its nuclear submarines are periodically docking in Sri Lanka and Pakistan. She has developed a new underwater surveillance network to assist submarines get a stronger lock on targets. PLA Navy (PLAN) forays in the IOR are on the increase and Chinese marines are already stationed at Gwadar and Djibouti. PLAN has deployed SRBMs, underwater drones and has successfully mounted electromagnetic rail-gun on warships. In comparison, India's fortification of the ANI is very slow despite the Andaman & Nicobar Command (ANC) having been established in 2001, which devoid of adequate muscle, continues to look over its shoulder at mainland India. The ANI is proximate to the strategically important Malacca Straits, as well as the Sunda, Lombok and Ombai Wetar Straits (Indonesia). India's hesitation in optimizing the defence potential of ANI is perhaps a combination of lack of strategic sense and the fear of annoying the dragon – an euphuism but with which successive Indian governments have been afflicted. ANI is God's gift to India of a natural aircraft carrier, hundreds of times bigger than INS 'Vishal' which is still in planning stage that maybe operationalised in 10-15 years after placement of order; 2025-2030 or beyond. Night flights to Port Blair began only in 2015. After years of wrangling, construction of a new missile test facility on Rutland Island in Andamans' was approved in mid 2017. Presently, long-range missile tests are conducted off the Odisha coast and are tracked by naval vessels on a trajectory into the Bay of Bengal. Most of the long-range tests for missiles like Agni IV and V have to be tracked over sea, with specialised vessels noting the 'hit zone' into the water. The missile test facility on Rutland Island will assist in confirming accuracy of the long-range missile hits. In October 2018, MHA relaxed the entry norms for foreign tourists visiting ANI, doing away with the rule mandating foreigners visiting the islands to register themselves with the Foreigners Registration Officer within 24 hours of arrival. But the organisation and facilities in ANI for tourism are very far cry from what a country like Maldives offers. 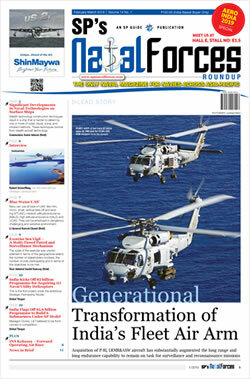 The infrastructure development package (2015-2025) approved for ANI costing $1.5 billion includes plans to double the number of naval patrol craft to 32 and army personnel to 6,000 but how mach has it progressed is not known. In April 2016, a guided-missile corvette, INS 'Karmuk', was stationed at ANI. There are plans to expand the 3,500 metre runway of the Campbell Bay military base on the southernmost island of Great Nicobar to 6000 metre. The ANC importantly also provides security cover to India's 5.95 lakh sq km exclusive economic zone (EEZ) in the region. Significantly, India has no maritime boundary disputes with any county of Southeast Asia. Taking cue from China's militarisation of the SCS and feverish activities in the IOR, we should have taken steps to optimise the strategic advantage of ANI much before. Chinese marines are already deployed in the IOR while our Navy's case for a Marine Brigade is stagnating in MoD past two decades. Naval Marines would also relieve some of the pressure on Army's Infantry facing problems of turnover especially in counter insurgency areas, particularly by infantry regiments responsible for contributing manpower to Rashtriya Rifles units. We need to go full hog to not only beef up the defence potential of ANI but operationalise it as a springboard for operations to nullify threat to our national interests. If the political will is there, finding the finances should not be any problem. There is plenty in India but for endemic corruption, even as gigantic corruption in Public Sector Banks is getting exposed. If PSUs can give a return of 30-50% which should be in the realm of possibility, how fast and where will India move up? This is just one example where large amounts of money can be tapped. The ANI needs to transform into a major trans-shipment hub, and the ANC having adequate muscle replete with adequate number of frontline fighters and surveillance aircraft, ships, nuclear submarines, amphibious aircraft, marines, underwater defences, and the like.